Sometimes, animals aren’t yet ready for our adoption program—like puppies or kittens under eight weeks old. Sometimes, animals get sick or injured and need special care, some have never been in a home. And other times, our shelter is simply filled to capacity. That’s when our Foster Care program volunteers swoop in to save the day. We receive a dog or cat that, for some reason, can’t be immediately placed up for adoption. Our staff will evaluate each animal to determine their individual care requirements. Foster homes are called. The first willing foster home will come to OHS and pick up the animal—along with all available information and supplies. The animal goes to the foster home until they are ready for adoption. You may need to bring the animals back to the shelter periodically for medical check-ups or is someone is interested in seeing him/her . The animal lives happily ever after. If you are interested in fostering, please contact OHS at info@yowensborohumane.org. Will you have time to spend with the animals? Most of them will be in need of your time, compassion, and trained handling. Expect to spend 1-2 hours per day (minimum!) with each animal. Socializing is vital to an animal’s success in being adopted. Do you already have animals? If so, you’ll need to keep your foster animals separated from your pets until you are comfortable that they will get along. Do you have time to clean up after your foster animals? Puppies and kittens are always doing one of five things: eating, sleeping, playing, peeing or pooping. Will you be emotionally prepared to return them to OHS when they’re ready for adoption? Usually, this is the most difficult part of the process. It’s easy to become attached to foster animals. 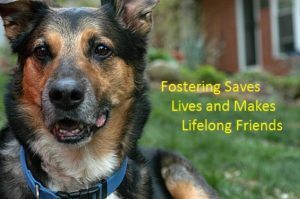 But (a) you can always foster another animal, and (b) your work is critical to these animals finding permanent, loving homes.